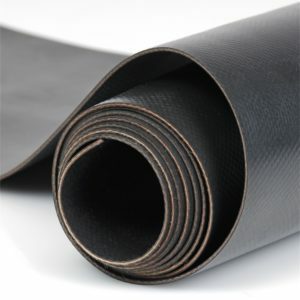 Neoprene – Offers good physical properties as well as UV, ozone, and heat resistance. It’s also flame retardant. Hypalon – Resists oxygen, ozone, heat, corrosive chemicals, grease, and abrasion. Styrene Butadiene – Similar to natural rubber, resistant to solvents and petroleum products. It also offers good water resistance. Silicone – Resistant to temperatures extremes, offers elongation and tensile properties. Before choosing the type of rubber for your design or technical uses, it’s important to study the properties it has since there is seldom a one-size-fits-all option. Any Santoprene washer supplier, like Superior Washer for example, will tell you how improper natural rubber is for industrial sealing while a food industry worker would hardly consider neoprene. Depending on your needs, you may want to get hard rubber with a hardness factor of 90 durometers, which is similar to a hockey puck, or medium rubber with about 40 durometers, which would be similar to a pencil eraser. The amount of force required to tear a rubber piece so it breaks is known as tensile strength. The ultimate tensile strength is measured in megapascals or pounds per square inch (PSI). It’s one of the most important factors you need to consider when choosing a type of rubber since it determines the material’s durability. This is the force needed to produce strain or elongation. This indicates how flexible and resilient the rubber is when force is applied. When the tensile force is applied, the rubber extends. The elongation indication is the percentage increase of the original rubber length after a tensile force is applied. The ultimate elongation is the point just before the rubber breaks. Resilience refers to the ability of the rubber sample to return to the previous size after stretching. Indicates how resistant the rubber is to scraping and rubbing. If the rubber is abrasion resistant it can be used for heavy-duty industrial applications. How the rubber returns to the original thickness after a compressive load is released. The compression set shows the result of how repeated compressions over time affects the sealing force. Rubber comes in many shapes and sizes, and carries many properties. An improper choice may substantially reduce the equipment output and increase expenses. Choosing the right rubber type is the key to an optimal work process.